The Finnish Wildlife Agency’s most important tool for guidance and education is the Metsästäjä magazine which is sent to all hunters in Finland. 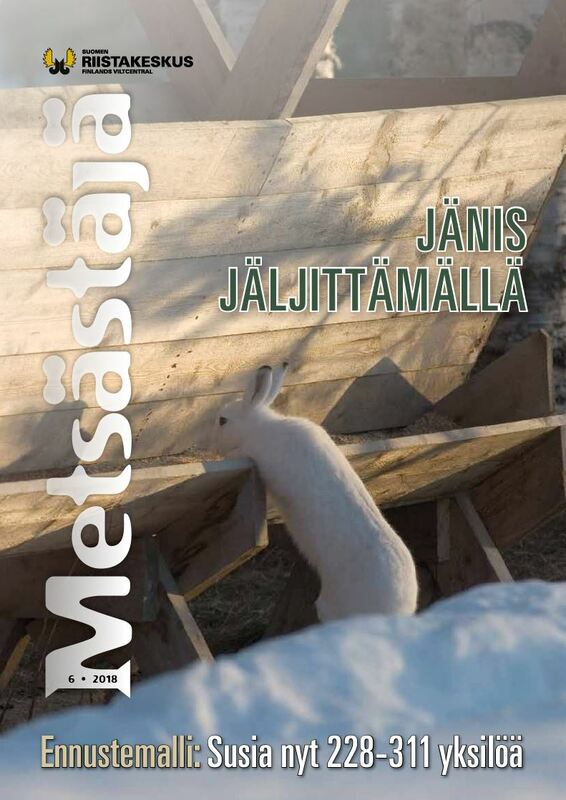 Metsästäjä magazine discusses topical issues concerning game management and the regulation of game strains, international cooperation, the way game husbandry relates to other uses of nature, the current situation of game animals and their importance to the wilderness. The magazine’s subject matter includes practical information about hunting and game management, hunting legislation, hunting with dogs, hunting and camping out in the wilderness and the equipment and tools required for these, and providing information about the Finnish Wildlife Agency’s activities, meetings and training events. The magazine is a high-quality, four-colour package of facts on hunting and game. The volume comprises six separate issues a year. Metsästäjä magazine is sent to all hunters who have paid their game management fee. This means that some 300,000 hunters receive the magazine, either in Finnish or Swedish. In addition to hunters, the magazine is sent to numerous government offices, libraries and agricultural and forestry colleges, as well as several associations and private persons in Finland and abroad. The magazine is not sold at news-stands. Metsästäjä magazine is also published as a facsimile edition in electronic form. You can read the most recent issue by clicking on “Valitse lehti” (“Choose an issue”) at the top left corner of the online magazine site. The same menu also allows you to browse older Metsästäjä magazines published since 2006. The magazine also includes a section in Sami.